Police Scotland officers have taken part in a week of action to crack down on drugs crime in the South side. Officers executed search warrants at two addresses in St Clair Avenue in Giffnock and Randolph Drive in Clarkston. During the search in St Clair Avenue a quantity of cannabis was recovered. 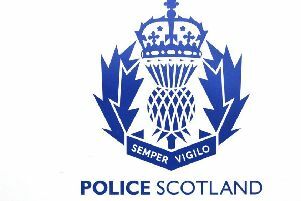 Two men aged 23 and 26 will be the subject of a report to the Procurator Fiscal in connection with drugs offences. During the search in Randolph Drive quantities of cocaine, crystal ecstasy and cannabis were discovered. An 18-year-old man was arrested and charged in connection with drugs offences. He was due before Paisley Sheriff Court on Thursday, May 31. Sergeant Brian Eaglesham from Giffnock Police Station said: “Drugs can have a devastating impact on communities and this week of action was all about sending a clear message that this type of behaviour will not be tolerated. “Support from members of the public is absolutely vital to tackling this issue and I would encourage anyone with information or concerns to pass the information onto police.